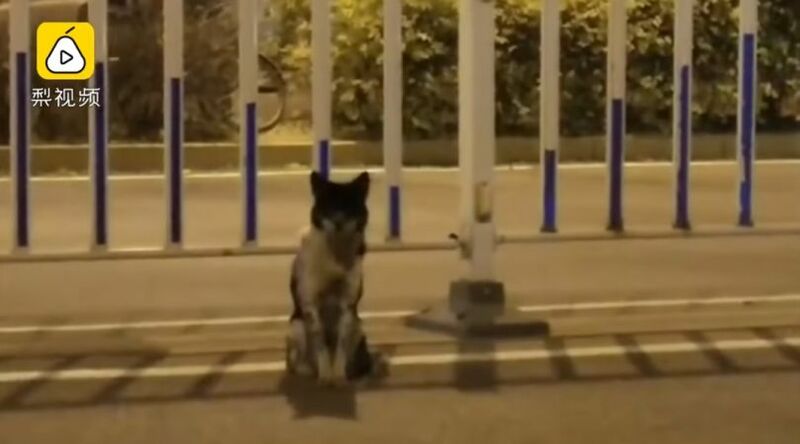 The video was filmed on 10 November and since it was shared on Sina Weibo, the site used instead of Twitter or Facebook in China, users have been commenting on the “loyalty” of the dog. “It is so dangerous for that doggy to stand in the middle of the road. I hope that some good people can adopt it and take it to a safe place,” they said.